If you're the racing fan that truly believes asphalt is for racing and dirt belongs in the parking lot, then you're going to love this weekend's hot racing tickets on the paved ovals. We have five of them for your consideration as we approach Memorial Day weekend 2016. Two of the race weekends will be presenting special tributes to the members of our U.S. Armed Forces. IRWINDALE EVENT CENTER, (IEC). 1/2 & 1/3 MILE. IRWINDALE, CA. www.irwindalespeedway.com SATURDAY, MAY 28TH. In the spirit of American pride and country, the IEC will be presenting NASCAR Armed Forces Appreciation Nigh this Saturday. This special evening is their way of thanking the men and women who are serving, or have served, in our American Military. All active duty and retired military personnel, with valid ID, will be treated to a night of exciting racing free of charge. There's going to be plenty of on track action, IEC style, Saturday night. On the racing agenda are those powerful stock cars from the speedway's Pick Your Part Late Models as well as the always exciting Legend Cars. It's a double truck racing night at the IEC meaning the fans will get treated to racing from the Seidner's Collision Center Irwindale Race Trucks. Part two of double truck night will be provided by the Robertson Solar Southwest Tour Trucks, a popular regional touring series that races on paved ovals in California, Arizona and Nevada. On Saturday race day the spectator gates will open at 4pm with the green flag falling on the racing divisions at 7pm. General admission tickets are only $10 if purchased in advance. Otherwise general admission tickets on race day will be $15. Pre sale tickets can be purchased via the track's website or they can be purchased through the track business office located at 500 Speedway Drive. Children's tickets are priced at $5. By the way, bring a big appetite and a powerful thirst this Saturday night because the IEC concession stands will be selling $1 hot dogs, $1 sodas and $2 beers. At those prices you can eat and drink all night. LOAN MART MADERA SPEEDWAY. 1/3 MILE. MADERA, CA. www.racemadera.com. SATURDAY, MAY 28TH. The fastest one third mile in the west will also be saying thank you to the men and women from our Armed Forces with a special Military Tribute Night presented by 51 FIFTY Energy Drink. All active, retired and veteran military personnel will receive free admission to the grandstands Saturday night. Loan Mart Madera Speedway has along standing reputation of presenting fully loaded racing shows and Saturday will be no exception. Highlighting the racing schedule will be round three of the Loan Mart Open Late Model Series running 100 laps split into twin 50 lap main events. Adding to the potential intensity of the race is the fact that it pays $1,000 to win. The stars and cars of this racing division are currently being featured on national television through MAV TV's "Madera Late Models" program. Lucas Oil, creator and owner of MAV TV, will have their production team at the speedway to film the twin main events. Wait, there's more. Then again, there's always more bang for the buck at Loan Mart Madera. Also providing on track excitement will be the Twisted Tea Modifieds running 60 laps split into twin 30 lap features. There's also round three of the 51 Fifty Energy Drink Junior Late Models, running twin 25 lap mains, along with the speedway's MS, Toyota Sedan and Mini Cup divisions. This very full day will start Saturday with a practice session for all divisions beginning at 12pm followed by qualifying at 215pm, heat races at 430pm and opening ceremonies/main events going green at 5pm. General admission tickets are only $15 for all of this motorsports entertainment. Tickets for seniors are $13, youth tickets, age 6 to 12, are $6 while children, age 5 and under, will be admitted free. STOCKTON 99 SPEEDWAY. 1/4 MILE. STOCKTON, CA. www.stocktonspeedway.com SATURDAY, MAY 28TH. Stockton will be presenting the latest round of their Holiday Classic Series Saturday and will back that will a rock solid racing line up for their fans. Highlighting the on track action will be the Late Model power of Pacific Challenge Series, presented by Penny Lawyers, who will be making their 2016 debut at Stockton. Saturday night is round 4 of the PCS' season and they will be bringing a pretty intense championship battle with them. Going into Saturday night, there are only two points separating racing team mates Jeremy Doss and Jeff Bischofberger at the top of the standings. Adding to the on track fan fun and excitement will be racing from the Legends of the Pacific, the Stockton Late Models and the Bombers. The spectator gates will open at 5pm with the cars hitting the track at 6pm. Adult tickets, age plus, for this special racing evening, are $20. Tickets for seniors, age 60 plus, and juniors, age 11 to 15, are $15. Children age ten and under will be admitted free. LAKEPORT SPEEDWAY. 1/4 MILE. LAKEPORT, CA. www.lakeportspeedway.com/index.htm SUNDAY, MAY 29TH. This quarter mile paved oval, the racing headquarters serving the community of Lakeport, will be presenting the Marlene Baker Memorial Bomber Bash this Sunday night. Providing the high speed entertainment will be the speedway's Bomber division, racing for $500 to win, the Jalopies along with the good old fashioned fun that comes with boat racing. The premise of boat racing calls for you basic fishing boat hooked to the rear of a bomber stocker with a long metal chain. The object is to disconnect and/or destroy an opponent's boat. The last car rolling with some semblance of Boat still attached to its bumper is declared the winner. On Sunday race day the spectator gates will open at 330pm. The racing will start at 6pm. General admission tickets are $12. Tickets for seniors, age 60 plus, and students, will valid ID, are $9. Kids tickets, age 5 to 11, and first responders, with valid ID, are $6. Toddlers and infants will be admitted free. The speedway also offers a budget friendly family pack, priced at $30, which admits two adults and three kids. GOOD TIMES QUARTER MIDGET RACING ASSOCIATION. 1/20 MILE. MADERA, CA. www.goodtimesqm.com. SATURDAY, MAY 28TH. Sanctioned by the Quarter Midgets of America Region 11, this program features quarter midget racing for boys and girls ranging in age from 5 to 16 years old. They will be presenting club race #3 Saturday featuring racing from their Junior Novice, Senior Animal, Senior Honda, CT 160 and Light World Formula divisions. While the track size may be small, the laps times aren't and the young drivers turn laps in just a tick past six seconds. For more information call Kim Avedisian, 559-313-3982, regarding the basics such as race times, ticket prices etc. Two races have been completed in Redwood Acres Raceway’s 2016 season and already fans have seen some memorable moments in all six of the raceway’s local divisions. The excitement promises to ramp up this Sunday May 29th for O’Reilly Auto Parts Night at the Races. While the late model division will have the night off, the rest of the five local divisions will play host to the exciting North State Modified Series. The points in Redwood Acres Raceway’s newest division, the Legends is currently being led by Brent Mack. He currently holds a substantial 37 point lead over the two drivers tied for second place, Brad Curtice and Anissa Curtice who also happen to be father and daughter. Mack’s large lead is due to avoiding catastrophe in the season opening race on April 30th. Keith Van Dyne is fourth and Robert Miller rounds out the top five. The class is expected to grow as 2016 progresses. Steve Paiment has a three point advantage over Tyler Peach in the California State & Federal Employee Credit Union roadrunner division. Two female drivers sit third in fourth in the standings with Jennifer Murrell 14 points in arrears to Paiment and Bethany Rapp 17 points behind the leader. Rookie driver, Patrick Sproul is fifth in points and 20 behind Paiment. The battle for the track championship in the Fortuna Wheel & Brake bomber division is very tight as a single point separates James Moore in first and Tyler Avelar in second. Ryan Ahrens holds on to third in the standings and is eight points behind Moore. Rookie driver, Kim Sorrels is fourth and 17 points behind Moore while another rookie, John Lally holds down the fifth position. The Humboldt Hydroponics mini stock division has arguably produced some of the best racing at the Acres thus far in 2016. Only eight points separate first through third in the standings. Jarrett Mayo currently leads Gary Klinetobe by three markers while Eugene Palmer is right on both of their heels in third. Daniel Buell is a rookie in the mini stock class and has used smart driving and consistent finishes to get to fourth in the standings, 19 points behind Mayo. Fifth place is a tie between mini stock veteran, Brian Murrell, Sr. and mini stock rookie, Michael Lawrence. Both drivers are 28 points behind Mayo. The Thunder Roadster division has put on some exciting races as well in 2016. Tommy Payne is a former champion in the division and is the owner of an eight point lead over Thunder Roadster rookie, Aaron Byers. Donnie Brown is third and only four points behind Byers. Four points behind Brown is another rookie, Ronnie O’Neil. Fifth in the standings is a tie between LeRoy Marsh, Jr. who’s returned to the Acres after several seasons away and rookie, Jett Taylor. The Mid City Motor World late models will not be partaking in the upcoming Memorial Day weekend events which likely is a blessing for several drivers in the division. Mic Moulton leads the standings in spite of suffering issues in the previous race on May 14th. Second place, Marty Walsh has been able to avoid any severe incidents and is only two points behind Moulton for the lead. Jim Walker is third in the standings, only four points behind Moulton. The West Coast racing legend’s car suffered heavy damage in the most recent race and it will be interesting to see how soon Walker will return to action. Jedd Ambrosini holds down fourth in the standings, only eight points behind Moulton while Kenny Demello is fifth, 15 points behind the leader. The North State Modified Series visits Redwood Acres Raceway this weekend for their second race of the 2016 season, the Swartz Diesel Nor-Cal 60. Sacramento’s Jason Philpot won the season opening Gene Welch Classic at All American Speedway on April 23rd. The scheduled May 7th race at Shasta Speedway was rained out. Last season’s two NSMS races at the Acres were won by Rich Lindgren and Darren Knight. Bakersfield, CA – In a unique blend of high-level motorsports competition and entertainment, the “Summer Motorsports Mayhem” is coming to Irwindale Speedway on Saturday, June 18th. “Summer Motorsports Mayhem” will feature the fastest stock cars to ever race on the Irwindale half-mile oval, the SPEARS (SRL) Southwest Tour Series, plus a full Monster Truck show and competition featuring some of the biggest names in the sport, such as Bounty Hunter, McGruff and Iron Outlaw. The night will also include stuntman Dr. Danger, a finalist on ‘America’s Got Talent’, the Inferno Jet Monster Truck and the Race for Autism – Celebrity Race featuring a line up of Hollywood stars racing one another in full size, NASCAR style – 450 horse power Stock Cars. Irwindale Speedway will open its spectator gates at 4pm on Saturday, June 18th. The SPEARS Southwest Tour Series qualifying will take place at 4:30pm, followed by the on track Ultimate Pit Party at 5:30pm, where fans can get autographs and photos with the drivers and celebrities, see the Monster Trucks up close and be part of the pre-race driver introductions on track. The night’s competition begins at 7pm sharp, with the Monster Trucks, the SPEARS Southwest Tour Series “51 FIFTY Energy Drink 100”, the “Race for Autism – Celebrity Race,” followed by the blow-your-hair back excitement of the Inferno Jet Monster Truck and the death defying antics of Dr. Danger. Tickets available at now online at www.IrwindaleSpeedway.com, tickets are only $15, with kids 5 and under free. MADERA, CALIFORNIA (May 24, 2016) – It has been an action packed 2016 season for the LoanMart Madera Speedway, with another big race this weekend with the annual Military Tribute Night. MAVTV cameras will shine down on the one-third mile asphalt oval once again with round three for both the LoanMart Open Late Models and the 51FIFTY Energy Drink Jr. Late Models in a double-header show. Twisted Tea Modifieds, MSTs, Toyota Sedans, and the future starts of the Mini Cups round out the nearly 300 laps scheduled. ALL MILITARY are in for FREE in the grandstands. Adult tickets are only $15, Seniors are $13, youth ages 6-12 are $7, and kids five and under are free. Multi-time track champion Matt Erickson is undefeated this year in Late Model competition at Madera. The La Grange, CA driver of the dark blue #42 has won both of the Open Late Model TV races and both local Late Model races this year. His victory in the April 30th race was a thrilling duel with Altamont track champion Ryan Philpott as the two charged through lapped traffic. Philpott ranks second in the Open Late Model standings with a pair of runner up finishes. Southern California import David Ross is third in the points standings. Ross ran third in the season opener but was relegated to tenth after a few dustups in the April event. Fellow Southern California driver Joey Licata, Jr. is a multi-time ASA Truck Series champion and sits fourth overall with Garland Tyler in the fifth spot. The balance of the top-ten includes local favorites Atwater's Jason Aguirre, Dos Palos' Ryan Hart, Ronnie Roberts, division rookie Shelden Cooper, and Howard Holden. More new drivers are expected to join the series that has averaged 25 cars in 2016. 100 laps are on tap for Saturday. The world's first ever full size Late Model division for drivers ages 10-16, the 51FIFTY Energy Drink Jr. Late Models have delivered plenty of excitement this year. 15 year-old Ryan Vargas of Southern California has been steady en route to the points lead with a pair of top-three finishes. Las Vegas' Dezel West is second in the standings while 13 year-old season opening winner Austin Herzog is third. Micro Sprint graduates Ben Silliker, 11 from Canada, and 15 year-old Jarrett Gilmer round out the top-five in the points. April's Jr. Late Model 50 lapper was swept by Bandolero graduates with 2015 California state champ Austin Edwards, 11, getting the win. Vargas, 2014 state champ, ranked second with Kyle Keller from Las Vegas in third. Twisted Tea Modifieds are scheduled for 60 laps in their third of six events for 2016. The open wheel field should see a boost as drivers will use this race as a tuneup for the huge Lucas Oil Summertime Horsepower Nationals on June 11th. Both Lucas Oil and North State Modifieds will have points races on the 11th, so some of those 40+ competitors are expected on Saturday. They'll be chasing points leader Robbie Knittel for the top prize. Aaron Coonfield ranks second ahead of Brian Collins and Rick Avila. Several second and third generation drivers make up the California Mini Cups this season as one of the fastest growing divisions at Madera. The MSTs and Toyota Sedans have staged a busy points season already with Kevin Thompson and Jillaun Holden atop each division respectively. 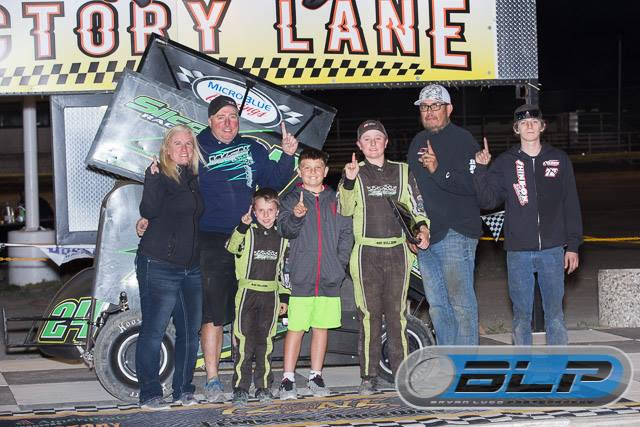 LEMOORE, CALIFORNIA (May 24, 2016) – Northern Alberta, Canada transplant Ben Silliker now resides in Lemoore, CA and the Team Silco Racing development driver took the win at his adopted home track. The 11 year-old won Saturday's Restricted 600 micro sprint feature at Lemoore Raceway for his fourth victory of a diverse 2016 season. The victory is Silliker's second in Micros to go along with an Outlaw Kart win and a pavement Jr. Late Model win as well. Saturday's win gives Silliker 15 top-five efforts with one more race remaining the month of May. Arguably Silliker's biggest career win came last year at Lemoore Raceway when Silliker swept both the Friday and Saturday features of Cal Cup. Silliker was the first Canadian to ever win the prestigious race that traditionally closes the track's season each year. Silliker had put together runs of fifth, sixth, and ninth in his Lemoore starts leading up to Saturday's win. A fast-time in qualifying set the stage for the night's performance despite power steering issues in the heat race. Silliker charged from eighth starting position on the feature on a dry-slick track. He had a very productive weekend when tagged with Friday night's performance at nearby Plaza Park Raceway in Visalia, CA. 18 cars competed in the USAC sanctioned action with Silliker qualifying fourth, running third in his heat, and overcome steering issues for fifth in the feature. Silliker's USAC resume is the most extensive of any driver in the new division with five starts and a win at Dixon Speedway. The series takes the best 15 finishes to determine a national champion. Ben Silliker's younger brother Alex continues to make his way in the youngest division of Micro Racing, the Jr. Sprints. A pair of solid eighth place finishes over the weekend are one of the highlights so far. Alex ran just 14 races last season but has already recorded 12 main event started in 2016. MAVTV cameras will be rolling again this Saturday night when Ben Silliker and Team Silco Racing get back on the asphalt for the Jr. Late Models at Madera Speedway. Drivers ages 10-16 compete in full size pavement stockcars in 50 lap features. Silliker led laps into the halfway break of round two in April before a pair of late race crashes bumped him to 11th in the finish. He ran second in the series debut in March which was also the first ever for race for this type of division in the world. He won an exhibition event two weeks later as well. The first televised race for the series will air on Thursday evening June 9th at 5 p.m. Pacific / 8 p.m. Eastern. The series runs once per month into October with sponsorship opportunities still available by contacting Team Silco. SACRAMENTO, CALIFORNIA (May 24, 2016) - The Pacific Challenge Series presented by PenneyLawyers.com will make their first trip to Stockton 99 Speedway of the season, with round four of the Super Late Model championship on tap Saturday night. Saturday's races are the first of the three round Tri-Holiday Series at Stockton commemorating Memorial Day, Independence Day, and Labor Day weekends. The historic Stockton 99 Speedway quarter-mile is embarking on its 68th season of racing action and is under the tutelage of Tony & Carol Noceti. A full night of racing action is on tap with Legends of the Pacific, the revitalized Stockton Late Models, and Bombers joining the evening's card. Jeremy Doss scored his PCS-leading 17th career feature win by claiming the Mother's Day race at Ukiah Speedway two weeks ago. The Upperlake, CA driver leads his JD Motorsports teammate Jeff Bischofberger by just two points in the series standings. Doss is hoping to ride the momentum into Stockton where he has three wins but also three finishes outside the top-ten in his PCS career at the facility. Bischofberger on the other hand scored his first career Super Late Model win at Stockton when he won a SRL Southwest Tour race there last season. Saturday will be Bischofberger's maiden PCS race at the facility. An average finish of 5.3 has propelled Loomis' Chris Scribner to third in the championship standings. He has only two previous PCS starts at Stockton with one top-ten finish. 2014 series champion Mike Beeler of Modesto is fourth in the current rundown and has had some great success at Stockton. Beeler's Late Model career was focused on the weekly racing at Stockton before he advanced to PCS. Beeler won last year's third round of the Tri-Holiday Series and has a total of five top-tens in six career series starts. Hayward's Danny Malfatti rounds out the top-five in the standings with three consecutive top-ten finishes to start out the season. Valley Springs' Tracy Bolin returns to his home track from the sixth position in the standings ahead of Upperlake's Jimmy Stillman in seventh. Bolin set the track record at the Madera season opener. His bad luck this year included a broken rear end at Ukiah that his team was able to overcome en route to a season-best fourth place finish. 2015 series champion John Moore of Granite Bay also won the 2015 Tri-Holiday three race championship and sits eighth in the standings after failing to take the green flag at Ukiah. Moore won the July Tri-Holiday event last year. Canadian Darrell Midgley and Manteca's JR Courage round out the top-ten. Drivers with plenty of local track experience are expected at Stockton including 2015 SRL Southwest Tour champion Jacob Gomes of Manteca. Gomes won the season opener at Madera and also has a win with PCS at Stockton in his record books. Matthew Wendt has shown a lot of speed in his two PCS starts this year and hopes to translate that to success at his home track. The Lodi driver won 11 of his last 14 Super Stock starts over the past two seasons at the speedway. Mike Hite, Travis Milburn, Kyle Gottula, Justin Philpott, and Larry Tankersley are among other drivers expected to return to PCS action with Saturday's race at Stockton. Saturday's Legends of the Pacific race is the fourth time so far in 2016 that Legends have raced with the Pacific Challenge Series. Cameron Austin has had the most success with three second place finishes with two wins for Robby Czub and one for Luis Tyrrell. Racing activities get underway Friday night with practice from 4 p.m. - 7 p.m. Pit gates open at 3 p.m. and pricing is $40 per person with no car fee. On Saturday pit gates open at 1 p.m. with first practices at 3:30 p.m. Grandstands open at 5 p.m. with racing scheduled for 6 p.m. Pit passes are $45 on Saturday. General admission tickets are $20 for Adults, $15 for Juniors age 11-15 and Seniors age 60+, and Kids 10 & under are FREE! The highly anticipated debut of the outlaw karts at Redwood Acres Raceway took place this past Saturday night. A great crowd was on hand to watch the group of young drivers, most between the ages of five and nine years old. The event was staged on a 1/10-mile dirt oval in the infield of the 3/8th-mile paved oval which fans normally see racing action. Due to this being the inaugural season of karting action at the Acres and since all races this year are non-point events, concessions were made in the rules to allow for better competition on the track. The 250 and 500/open karts were combined for the night which featured racing between the father/daughter pairing of Brad Curtice and Anissa Curtice. Brad set fast time with a 9.247 lap time while Anissa qualified at 9.623. When it came to race time, Anissa dominated winning the trophy dash, heat race and feature over her father. T.J. Sorrels of Ukiah set quick time for the beginner box stocks with a 10.583 lap in qualifying. Taylor Fuller of Medford was the heat race winner over Jacob Boldway of Eureka, Sorrels, Adrian Richard of Myrtle Creek and Kai Hirsch of Garberville. Fuller quickly maneuvered his way to the lead of the 20-lap feature while Hirsch had issues on lap two which forced him out of the race. Fuller was absolutely dominant, leading every single lap of the race en route to winning by a full lap over second place Sorrels. Boldway placed third over Richard and Hirsch. Brionna Fuller was the fastest qualifier for the box stocks setting a time of 10.312 seconds. Natalie Richard took the victory in the trophy dash. Maleesa Miles won heat race one followed by Quentin Ikeya Bailey Jackson, Timmy Walters and Derek Kessler, Jr. Richard won heat two over Fuller, Jeremiah Boldway and Jackson O’Ferrell. The 25-lap main featured a scary accident on lap six when, Timmy Walters got out of control and hit the front straightaway wall. Thankfully Walters was unharmed. O’Ferrell got to the lead on lap one and ran away from the field. He looked to have the race well in hand until two laps remaining when he lost control in turn four. Fuller moved to the lead and was able to withstand a late charge from Richard to take the win. O’Ferrell finished third while Boldway and Jackson rounded out the top five. Redwood Acres Raceway would like to thank Scott Hammond State Farm for sponsoring the evening’s races. Also, a special thank you to Kenny Demello Racing, Wendt Construction and Michael Buell for their help in getting the races going. The outlaw karts return to the Acres on June 18th. Grandstands open at 5:00 PM while racing begins at 6:30 PM. For more information on everything going on at Redwood Acres Raceway, please visit the track’s official website, www.racingtheacres.com. It was with a great deal of shock and sadness that we learned of last Saturday's passing of Charlie Beard, one of the principal owners and investors of the Kern County Raceway Park in Bakersfield. According to reports, Beard had been undergoing treatment for an undisclosed medical condition over the past five weeks prior to his untimely death. Originally from the community of Taft-California, Beard was a self made businessman with a very high, hands on, work ethic that led to the creation of GPS, General Production Services, a highly successful enterprise associated with maintenance service for the area's oil fields. 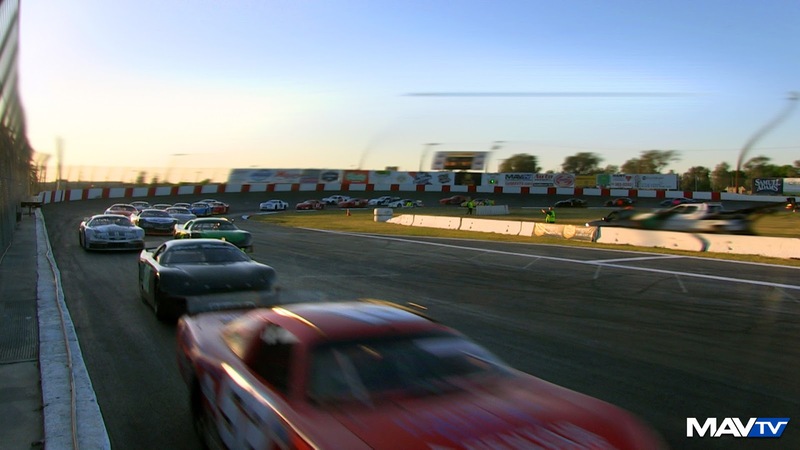 In 2012, when the partners of the Kern County Raceway Park were struggling to complete construction of the project, Beard cast his interest in the track and made a substantial investment in its future. True to his long time hands on work ethic, Beard soon became a major fixture at the track as well as a major voice in its future. Observing that the term raceway park meant something considerably more than just the project's center piece, the one half mile paved oval, it was Beard who put his focus on the creation of a professional motocross facility as well as a one third mile dirt oval. To no real surprise, both additions to the raceway park are well on their way to becoming a motorsports success. In some comments recently made to the "Bakersfield Californian", Lee Baumgartner, Kern County Raceway Park President said: "he was the catalyst that held us all together. He had a great heart. We just loved him an he'll really be missed." Our heart felt condolences goes to the Beard family during this truly sad time in their lives. Thank you Charlie Beard for returning high qualify auto racing to Kern County, at a state of the art facility, where it belongs. It will forever be a part of your legacy.